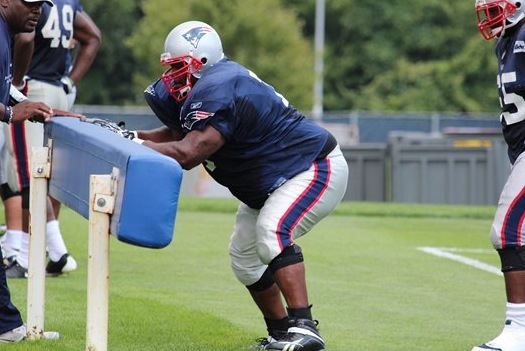 Okay, if you have been following the Patriots at all this week you’d realize they were snapping up DEs and DTs like nobody’s business. All of a sudden, the Hoody (Bill Belichick) is seemingly switching to a 4-3, considering they took less than 5% of all defensive snaps from the 4-3 since 2008 that’s pretty ding dang dong ridiculous. And at the risk of sounding like the homer I am, I have to say “all hail the Hoody”. Think about it. The Patriots played 3-4 for years. They didn’t do 4-3. Period. So all these offense packages that teams have been dreaming up during the lockout, and you know they were working on those, to go against the Patriots D are all out the window now because to be honest no one really knows what they are going to do. Okay now that I have everyone thoroughly confused, here’s the deal with the different types of defense. I’ll go over the major differences because if I start having to get into the coverage guys…it’ll make your head spin. We’ll start by explaining the personnel. Linemen: these are the big guys. 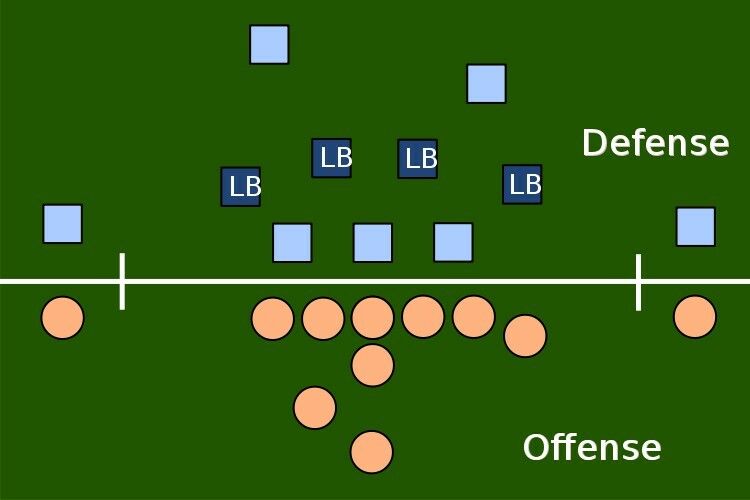 In a 3-4 defense, there are 3 lineman: a nose tackle (the biggest and strongest) and two defensive ends (DE) who are on either “end” of the three man line. In the 4-3 defense, there are four linemen. The two big dudes in the middle are called defensive tackles (DT) and are usually referred to as the “left” or “right” DT. Pretty self-explanatory. Inside Linebacker (ILB) AKA Middle Linebacker (MLB) AKA “Mike”. These are your guys in the middle of the line of linebackers. This is your boss of the defense, usually the guy yelling to his teammates what the QB is about to do or if a blitz has been called, etc. These guys have to do it all, they have to spy on the quarterback, tackle, block runs up the middle, blitz, or drop back into pass coverage depending on the situation. which is the side with the most offensive players. the least offensive players and often have to drop back into pass coverage. Now that you know who everyone is, here is how those defenses work. In the 4-3, you have 4 linemen. A left DT and a right DT and two DEs. Behind them are 3 linebackers. Currently the Colts, Eagles, Lions and several other teams favor this style of defense. 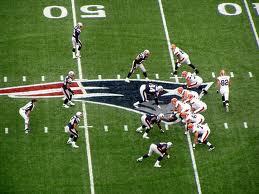 Now, just because a team prefers one over the other doesn’t mean that is the only defense they do. But count the players when they line up at the line of scrimmage (where the ball is) and you’ll be able to make a good guess at what style of defense they are lining up in. Back to the Patriots. So why are they changing things up when the rest of the league seems to be going the other way? Why not? If this season has taught me anything so far it is that you can never trust Bill Belichick to do what is expected. Watching them and the Eagles this pre-season, I keep wondering where they are getting all this money from. The Patriots like to get good deals for their players but they’ve always stayed closer to the cap than the stingier teams. And now they are switching the defense all up and have all these new faces I don’t know what the team will look like come Thursday when they take on the Jags for the first preseason game of the year. Football (for real) is ALMOST HERE! You know what, I might even watch the whole preseason game because I’m so starved for football that I don’t care if I have no idea who is playing and the JV team is out there. It’s football and it’s back. Switching sports for a moment. I’d like to add something about my very favorite #34 since we’ve been talking about 3-4 and 4-3. David Ortiz had a monster night against the Twinkies (Min Twins) tonight. 4-5 with 3 RBIs and just a triple short of the cycle is no laughing matter, especially since the team arrived in Minnesota around 5 PM due to an extremely late marathon against the Yankees. Papi has been slumping a little since the break, but seems to be coming out of it with a great night tonight and some solid ABs against the Yankees. Now if only I didn’t have finals, this would be a fantastic week. I gotta go dig out my jerseys because FOOTBALL IS BACK! Okay, normally I am not a celebrity stalker. Frankly, I think they are just like everyone else and should be left alone. However, I am completely and totally obsessed with the new Duchess of Cambridge’s style. Not only because it is classic and elegant, but because it is MODEST. Not just modest as in covered up but modest in price as well. Let me explain. Last week E! made a big deal about the fact that not only did the Duchess recycle a coat, she also recycled a dress. Shocking! It amazes me that anyone thinks twice about this. We all have clothes we like. We like how they fit, feel, and look on us. Raise your hand if you recycle outfits (I’ll give you a hint, we all do it!) I found it refreshing. Yes, the dress is designer. Its also fantastic so why wouldn’t she wear it more than once? Same goes for the coat. The only new thing in her outfit for Zara Phillip’s wedding was the hat. Granted it was an expensive hat, but it’s one we will probably see again. Plus she doesn’t seem to be allergic to off-the-rack clothing. I’m pretty sure she’s gone out in stuff from Banana Republic, Zara (which is really cute but very reasonable) and clothes that won’t cost you your first born child. It’s important to note that both she and her sister Pippa seem to not care where the clothes come from, so long as they are cute, but invest in nice designer bags and shoes, which is a smarter investment than a $200 shirt. The other thing I love is the modesty. She looks fantastic but she can move without fear of, as my father always said, “giving someone the chance to autograph her underwear”. And her clothes don’t show too much of the girls. And that makes her prettier than some of these trashy hollywood starlets who think the less skin you show, the sexier. Maybe its because I’m a woman, but I just think they look cheap. You wear a $50 dress from Khols that fits right and looks good and doesn’t show too much skin, you can look more expensive and well-dressed than someone in a $400 designer dress that leaves too little to the imagination. I truly hope the drop in hemlines and the more modest style of the spring and fall will carry over into next year. I hope with the influence of the Duchess, we may see a return of modesty. I want this not only because I think that will make women everywhere look better, but also because I am tired of seeing spare-tires and muffin tops hanging over too-tight jeans, thongs and butts hanging out of shorts and skirts, and dresses that really are entirely too short to be a dress. Enough is enough, people. Really. Look at the price of your item. Ask yourself: how many times will I wear this sweater? Now, divide the price of the item by the number of times per wear. But because it is a wardrobe basic, we also have to think about how many years you will use it. For this I’ll estimate at least 2. So the math becomes 50/42 = $1.19 a wear. That’s not terrible, especially for something that is work appropriate. You have to decide for yourself what you want to spend for each type of clothing. $2 a wear for a wardrobe staple may not be a bad investment, but $2 a wear for pajamas…that may be a bit much. So just remember divide the price by the number of times you think you will wear an item and that will really start to make you think about the cost of clothes.